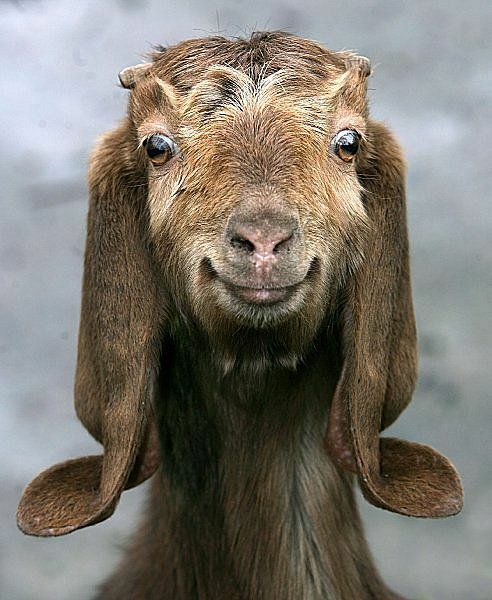 Goats are happy creatures. They just are. I've never met a goat that seemed down. Bossy as well, but happy. I also love goat's milk. We had a friend who had a farm and we were lucky to on occasion get some for ourselves. My Grandmother tells about how my Great-Grandmother cured a bleeding ulcer with goats milk alone. It's just good stuff, and makes really good soap. 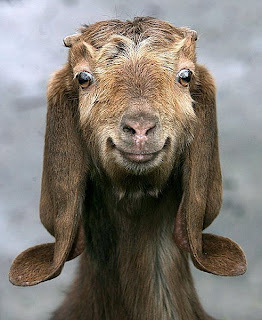 Happy goat = happy goat milk. This company rocks, and like me, reside in Indiana. I love the chance to promote a fellow Hoosier! Family owned & run. just watch this video to see that the whole process is happy. I know that the family made my soap from very beginning to very end. That little hands wrapped my soap & packed my box. It's a good feeling and a great business to support. As our goats might say, our goat milk soaps contain nothing Baah-d. Ever. We use only natural fats and oils that produce a long lasting, moisturizing bar. The colors are all natural too, never from dyes or synthetic colors and we only use high quality essential or fragrance oils to scent our goat milk soaps. You'll love the scent, the feel, and the bubbly lather these ingredients give every bar of Goat Milk Stuff soap. We have a wide selection of soaps including special soaps for for shaving, washing pets, scrubbing off odors, thwarting poison ivy, exfoliating, andchasing away bugs. You're sure to find a goat milk soap you'll love for yourself or to gift to someone else. I love their soap. It has a soft feel, when you're sudsing up - rich. I ordered Harvest, & Pink Sugary. The harvest, is like fall - spicy and warm. Pink Sugary reminds me of making caramel and letting the sugar melt and boil - the smell is so sweet and warm. These make a perfect stocking stuffer for any member of you family. From kids old enough to bathe themselves to the adults who will love to indulge in the healthy properties and rich scents.The soaps come in cute cloth bags, ready to toss into a stocking or add to a gift pack of beauty products. So try Goat Milk Stuff & you'll be happy too!